Seborrheic keratosis is a common skin condition with no known underlying cause that causes the top layer of skin to become thicker, resulting in a benign growth. Do you suffer from seborrheic keratosis and wonder why there are not many treatment options? There are countless treatments for those that suffer from skin conditions such as eczema, hyperpigmentation, warts, etc. These range from over the counter creams and serums to more intense in office treatments. Unfortunately for those that suffer from seborrheic keratosis, the options are much more limited. Traditional treatments offered are more on the intense side, giving patients the option of burning, freezing, or scraping off the area affected. The lack of treatment options seems odd since so many men and women have this skin condition worldwide. According to a study done in 2015, over 80 million Americans alone are affected by seborrheic keratosis. That makes this skin condition more common than acne or rosacea. That is why the makers of Eskata developed this innovative, non-invasive treatment to help reduce and eliminate the appearance of seborrheic keratosis. Now, at University Park Dermatology we are offering this advanced treatment for our patients. Let’s learn more about seborrheic keratosis and how Eskata can help treat this condition. We will also tell you everything you need to know about Eskata, including how it is administered, possible side effects, and interactions. Seborrheic keratosis is a common skin condition with no known underlying cause that causes the top layer of skin to become thicker, resulting in a benign growth. This growth can appear similar to a wart, skin growth, or even skin cancer, but is ultimately no reason to worry. Although they should be checked by a doctor when you first notice a spot, seborrheic keratosis is not cancer and does not become cancerous. They also usually appear in clusters and in multiple shapes and sizes. 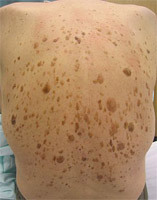 Seborrheic keratosis can range from white to black in color but are typically tan or brown. When they first appear, they are generally lighter in color and flatter. As time goes on they will become darker, more raised, and often rougher. It is always important to get any new or changing skin marks checked out by your dermatologist to be safe. Seborrheic keratosis is usually diagnosed by your doctor by its appearance alone. 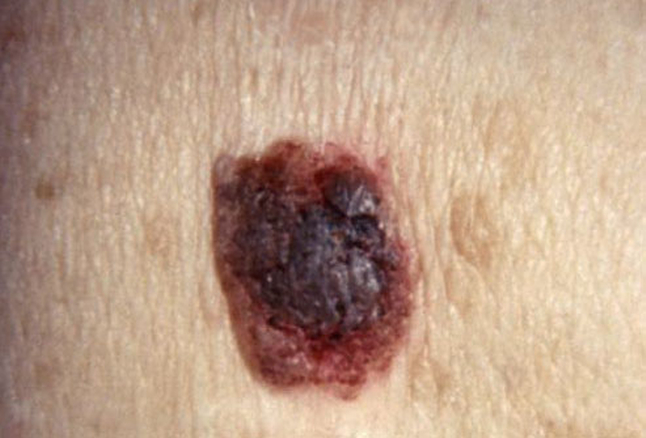 Your doctor may also decide to do a biopsy as well to ensure that it is not melanoma. Genetics can play a role in whether you will develop seborrheic keratosis. Sun exposure can also affect how likely you are to have this skin condition. Those with darker skin or less likely to be affected by seborrheic keratosis. So far, there is no way to stop seborrheic keratosis from forming. As common as this skin condition is, there are not many treatment options being offered. It is not necessary to remove seborrheic keratosis, but many patients wish to for cosmetic purposes. Traditional treatments for reducing and eliminating this skin condition are intense treatments in the dermatologist’s office. These treatments include cryotherapy or freezing, electrodessication or burning with electric current, and scraping off the seborrheic keratosis with a special tool. Now Eskata offers another, less intense option, for patients to treat this common skin condition. Keep reading to learn more about this innovative treatment. Eskata is able to clear seborrheic keratosis without using intense techniques such as freezing, burning, or cutting. It uses a topical solution with hydrogen peroxide to treat raised seborrheic keratosis. The treatments are administered in office by a healthcare professional. Many patients only need two treatments, but more may be needed depending on your skin type and severity of seborrheic keratosis. When you come in for your first Eskata treatment you can expect to be greeted by our staff right away. You will feel welcomed and relaxed from the second that you come into the office. Once you come into the room for your treatment we will make sure that you feel comfortable before beginning. The first step of the Eskata treatment is to prep the treatment area. This is done by cleaning and disinfecting the areas that are affected by seborrheic keratosis. If treatment is being done on the face, special precautions will be taken to protect the eye area. Eskata will not be used within the orbital rim. After the treatment areas are prepared the healthcare professional performing your treatment will activate the pen like administrator that distributes the Eskata solution. Then the solution will be applied with firm pressure to the lesions in a circular motion until they are saturated. Each area is usually treated for twenty seconds at a time and can be repeated up to four times within a minute, while taking rests in between. Any excess solution may be absorbed with a clean cloth or wipe. Once all the lesions have been treated with Eskata, they will appear frosted and be completely dry. You will not leave the office until all of the lesions are dry. Desired results should be seen after three weeks, if not then another round of treatments is recommended. Side effects with Eskata are uncommon, but still possible. Potential side effects of Eskata include itching, stinging, crusting, swelling, redness, and scaling. Other skin reactions in and around the treatment areas, such as blistering, are also common. 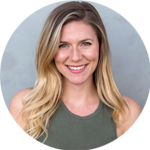 Are you ready to start treating your seborrheic keratosis? 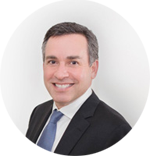 Come to University Park Dermatology, where the team has been hand-picked by Dr. David Sax, a board-certified dermatologist. His team is made of medical professionals that combine clinical skills, dedication, and compassion to provide you with best, personalized care. So what are you waiting for? Give our office a call today!